These are some questions I ask every time I get dressed; but these are not the only questions I ask. Whenever I get dressed, I can’t help but have these questions cross my mind. I have read so many stories and comments where a girl, a woman finds herself at the hands of a man with ill intentions and the top comment questions why did she wear that? Why did she go to that place? Comments suggesting that this woman was somehow responsible for the actions of another. I sometimes wonder whether the people who make these comments spare any thought for the women in their lives. Their daughters, sisters, mothers. Have they ever put their loved one in the position of the woman in question? I have spoken to many female friends and acquaintances. Every single one has a story about being catcalled on the street, being followed in public, being touched by a stranger, receiving unwanted photos online, lewd comments on their social media. This has become the norm. Some with even worse stories than these. This is what is considered normal. People will stand by on the street and watch a woman being harassed and say nothing. People will stand by while a woman is told that her clothes caused her attack. People will stand by while a woman gets catcalled across a street. We all stand by and let these things happen and so long as we stand by, this will continue to be the normal. This cannot be our normal. We need to stand up, step out of the shadows and make it known that this is not acceptable. And all it takes is a simple choice. Choose to change the narrative. Choose to set the bar higher. Choose to reject the old normal and create a new one and eventually those questions about clothes go back to just being about what you like and not about your life. Sydney Joseph is a 19 year old aspiring photographer with a passion for local activism especially in relation to women’s rights and youth development. 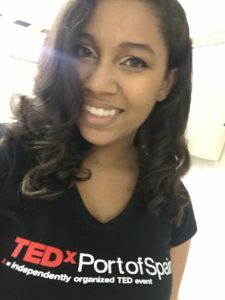 She is currently pursuing a Computer Science course based through the HarvardX Program as well as volunteering with many local organizations like the UNVolunteers and TEDxPortofSpain. She is looking forward to continuing her volunteer work and hopes to continue speaking her mind about the important issues being faced today. Sydney’s website www.sydneyjoseph.com will go live on August 5th. 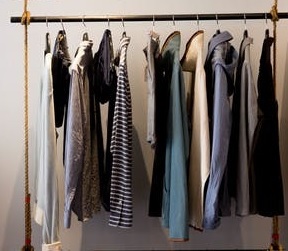 Do you spend a lot of time thinking about whether you will be blamed for something you wore, if attacked? How does society’s victim-blaming hurt women? Tell us your thoughts.